Here at The Invite Hub we use gold, silver and rose gold foil stamping to add a sheer touch of class to your wedding invitation. With its shiny metallic design of luxurious gold and silver, the addition of foil stamping ensures the cards within this collection exemplify modest elegance. Convey your own kind of beautiful for your wedding with our exclusive range of Gold Foil invitations here at The Invite Hub. Gold foil is not just for gilding mirrors anymore, you can use it to add glamorous finishing to your wedding stationery. Your gold foil wedding invites can depict your happily ever after in just one invite. 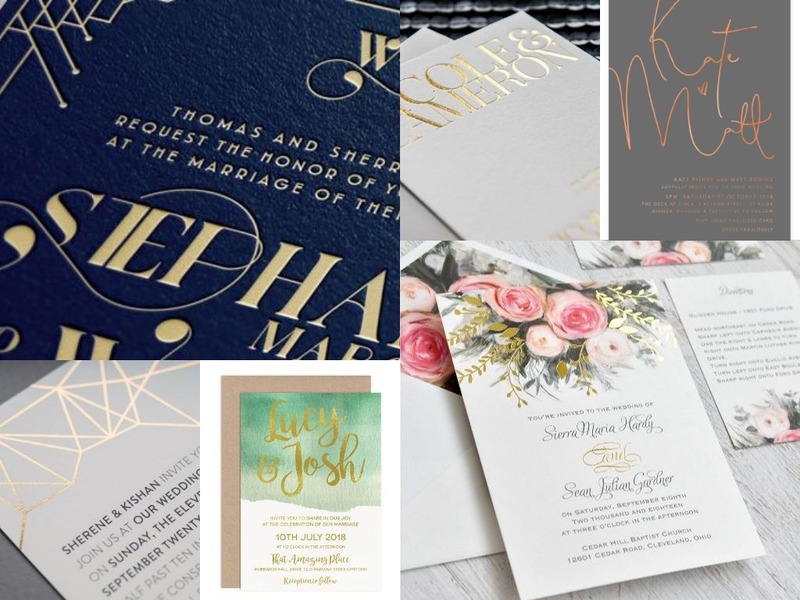 Foiling is an ideal choice for the romantic bride and groom looking to accentuate their chic taste without having to spend a fortune, our styles all display premium quality at affordable prices. No matter what theme you desire for your special day, we can design an invite just for you! We understand how important your wedding is, and that’s why we not only design your wedding invites. We are here to help you find your inspiration for the stationery of your dreams. Call in to see our show room to have a one on one consultation with us, or give us a call to discuss your requirements and we will be more than happy to walk you through options and prices.